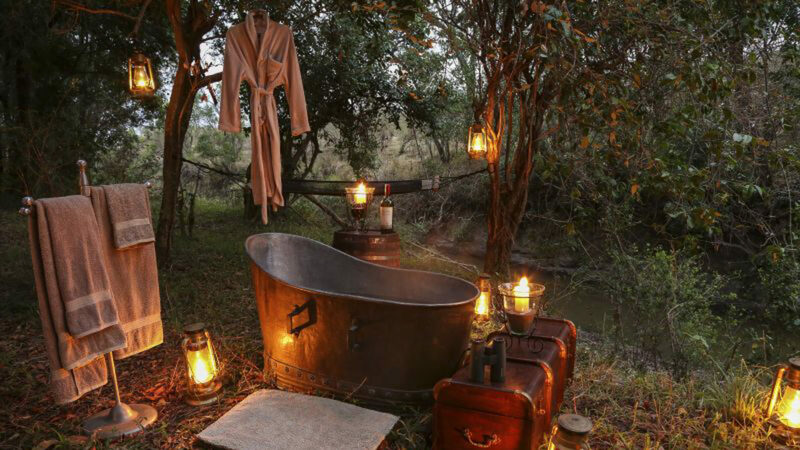 Good things come in small packages at Kenya’s rustic Mara Expedition Camp, which calls to mind the safari tents of Africa’s colonial era. Five tents, shaded by the forest canopy, feature old-fashioned amenities such as flushing toilets, bucket showers and hot and cold running water. The interiors harken back to the days of early explorers with vintage Indian campaign chests and brass chandeliers. Guests rave about the sense of community and conservation at the camp, the bush breakfast picnics, game drives and the friendly people who make it all happen with exceptional service. 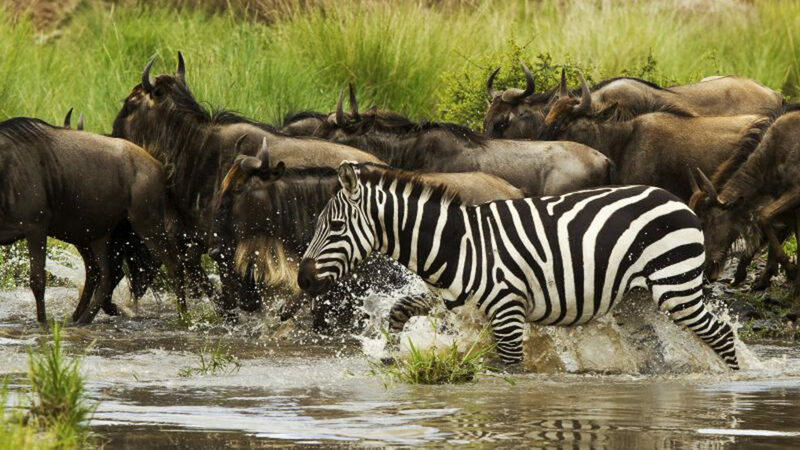 Maasai Mara National Reserve is a magical spot where travelers cross paths along the plains with teeming wildlife. This is prime leopard territory and the perfect location to observe the annual wildebeest and zebra migration. Notable ambassadors of the property include National Geographic Explorers-in-Residence and acclaimed filmmakers, Dereck and Beverly Joubert. Travelers uncover a life-changing experience with photo opportunities that will forever capture their journey at Mara Expedition Camp. Set at ground level and shaded by the forest canopy, five tents forego fancy amenities but still leave you wanting for nothing. With flushing toilets, bucket showers and hot-and-cold running water, each tent is decorated with an eclectic yet co-ordinated assembly of what early explorers may have carried with them – brass chandeliers, old Indian campaign chests, rich leather and hardwood furniture – combined with rich textiles and soft cottons. 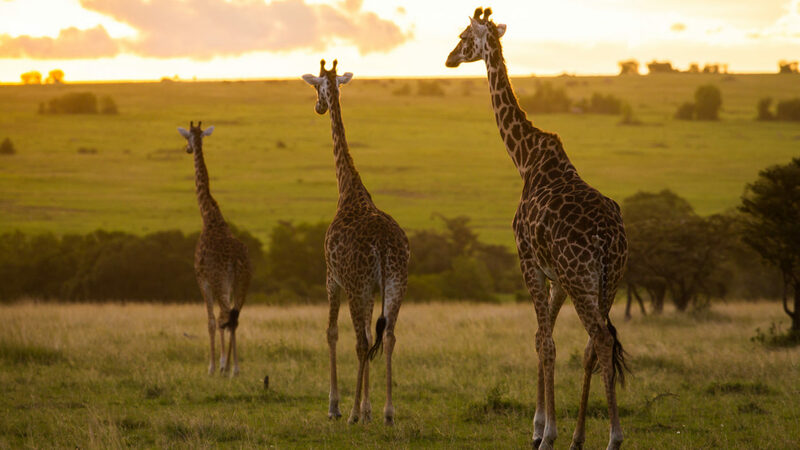 But it’s out on the plains of the Maasai Mara and the adjacent Mara North Conservancy that guests really connect with Africa and live the explorer experience, surrounded by wildlife. 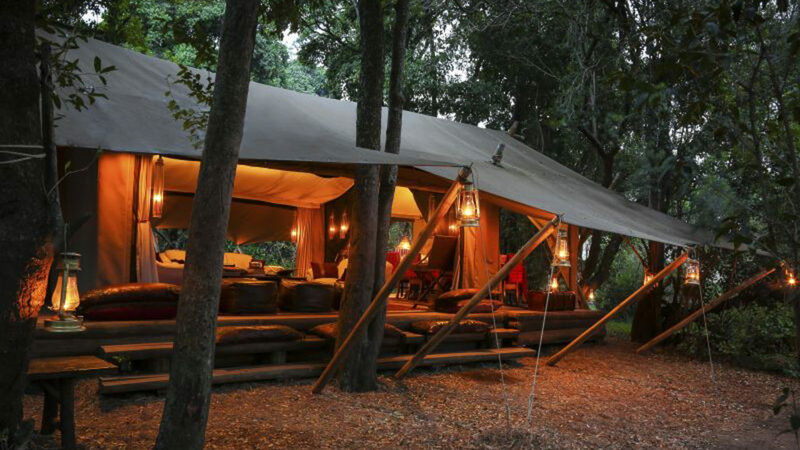 Mara Expedition Camp can accommodate up to 10 guests sharing in five tents. An additional guide’s tent is available. Children from 8 years old are welcome. 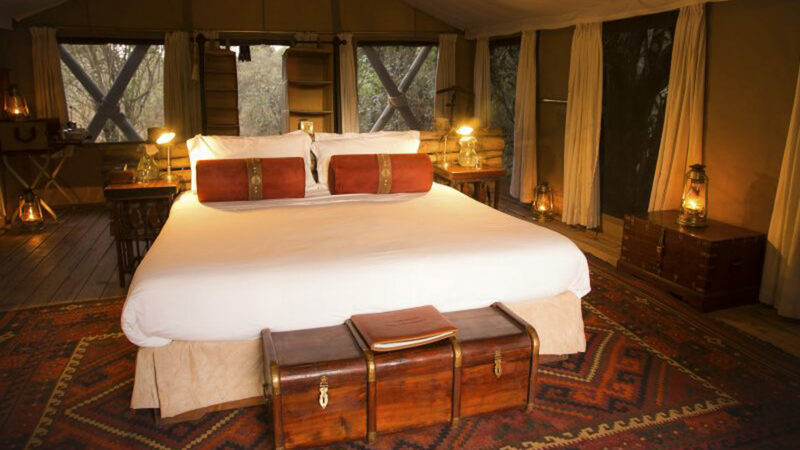 Mara Expedition Camp is located on the banks of the Ntiakitiak River, within Kenya’s Maasai Mara Game Reserve.